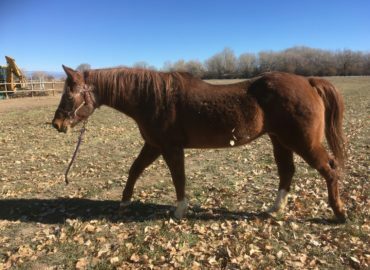 Shelby recently arrived at Dream Catcher's in 2017. 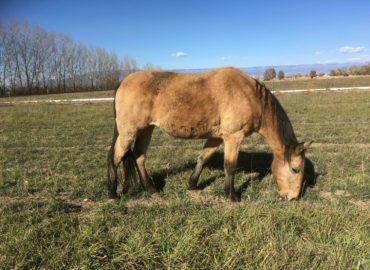 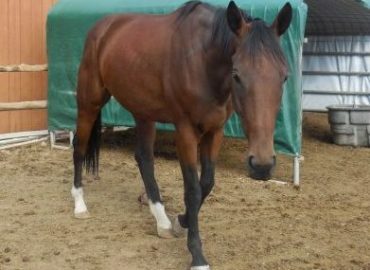 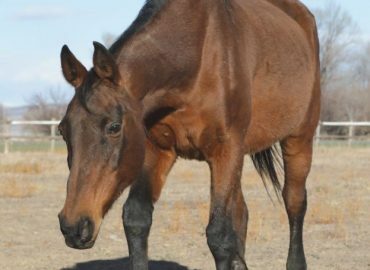 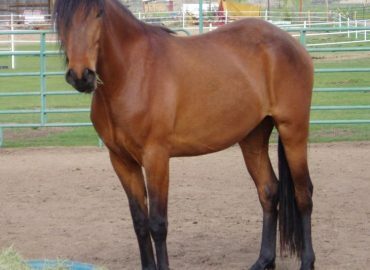 She was a beloved horse with a great personality as proven by the Description below (provided by her owner). 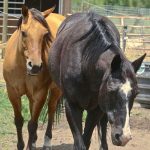 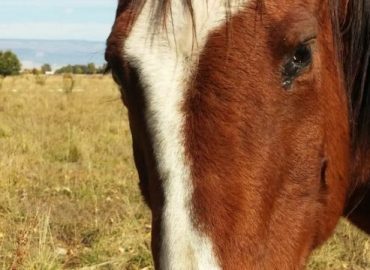 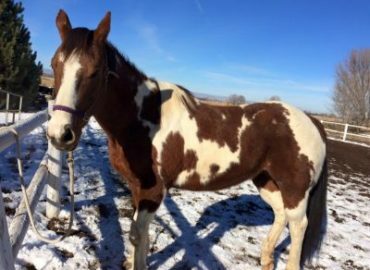 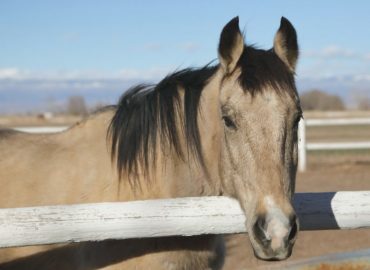 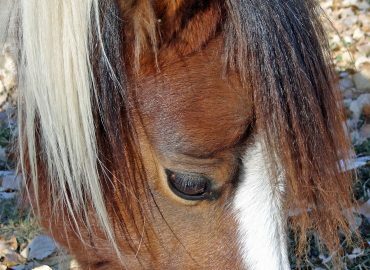 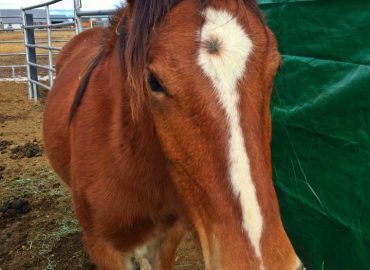 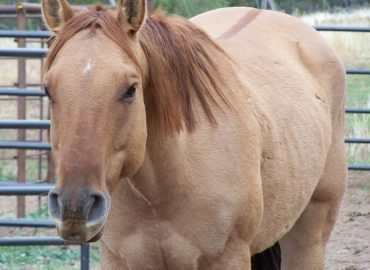 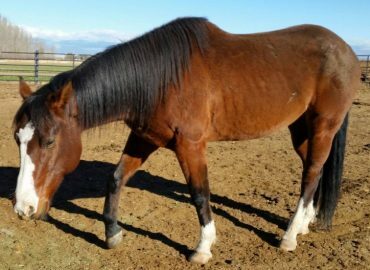 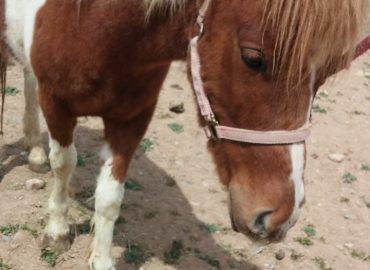 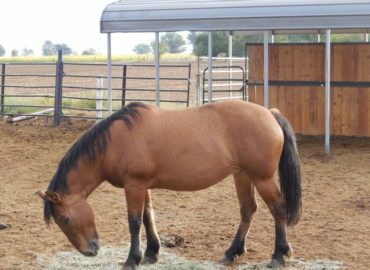 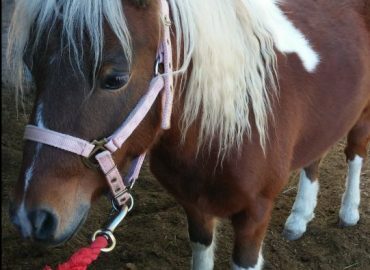 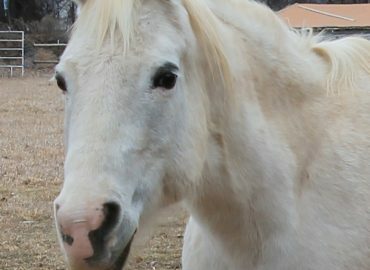 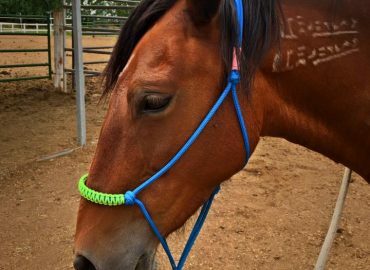 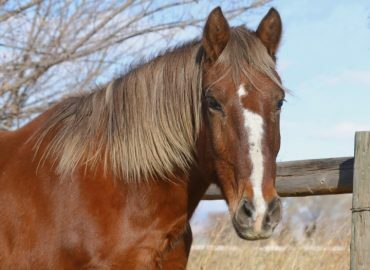 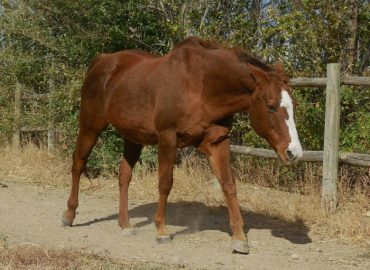 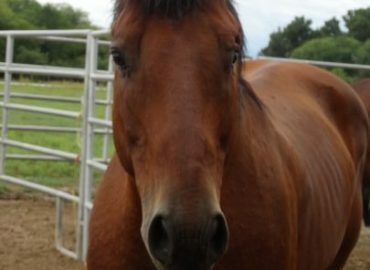 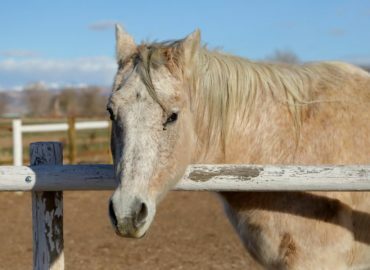 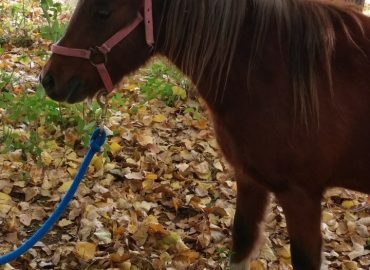 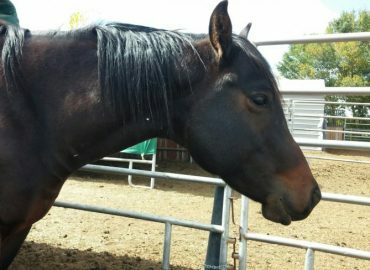 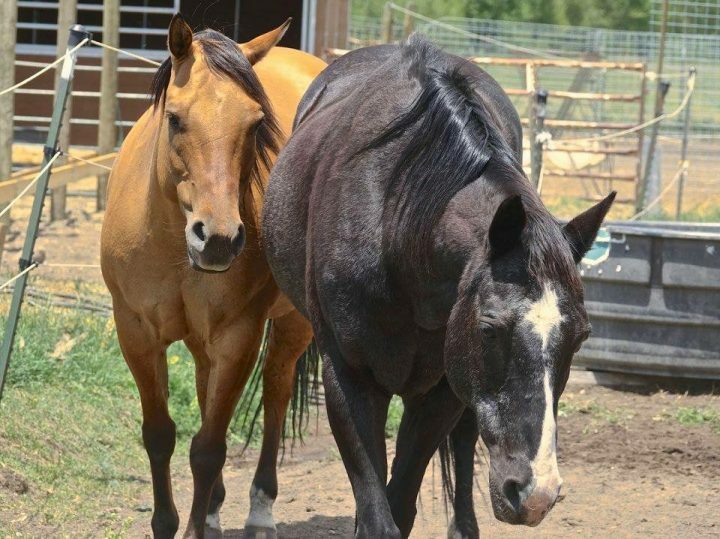 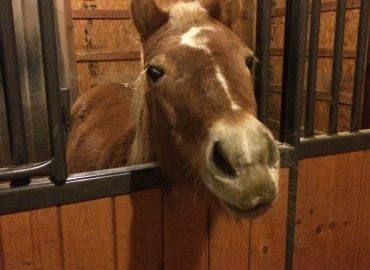 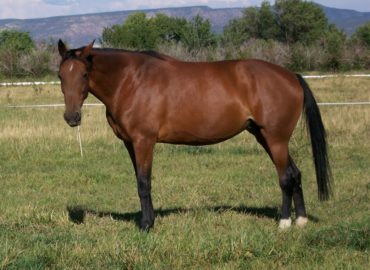 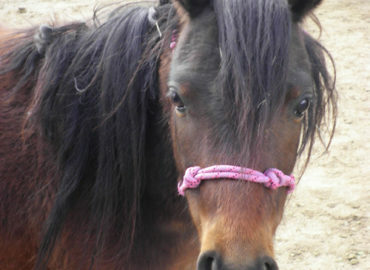 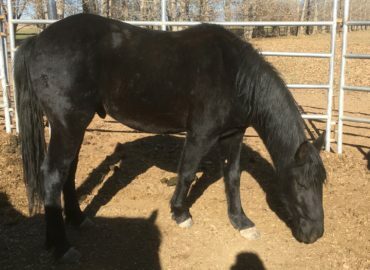 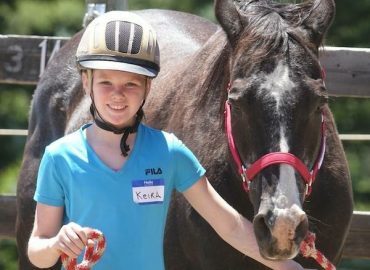 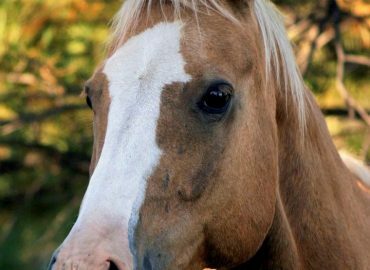 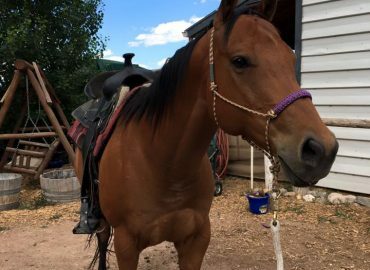 "Shelby is a great trail horse and loves to go for rides. 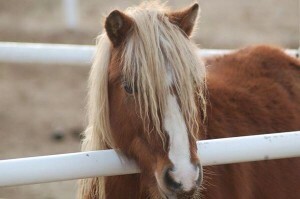 She is alert and looks around at her surroundings. 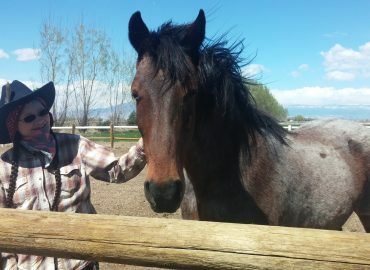 She's very good with traffic and crossing roads, up and down hills crosses water and goes through ditches. 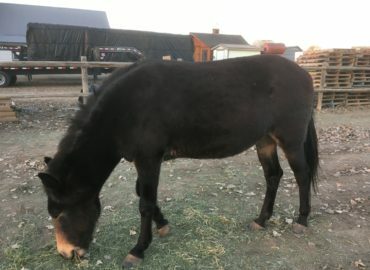 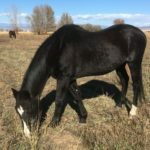 She does not barnstorm, like any other horse she will walk a little faster when headed home as she knows a good brushing comes, a cool drink and 2 cookies. 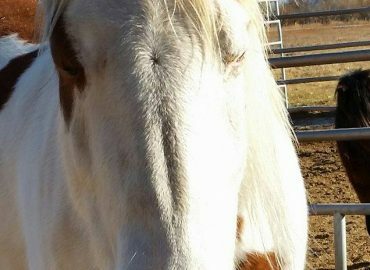 We were told from earlier owners she worked cattle for 12 years. 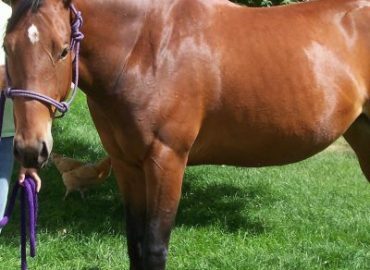 I cannot confirm this but it may explain why sometimes when we're riding, if we start to pass a field with cattle and they are close to the fence, Shelby will stop and hesitate, but if you encourage her she will pass them, but she watches them the whole time. 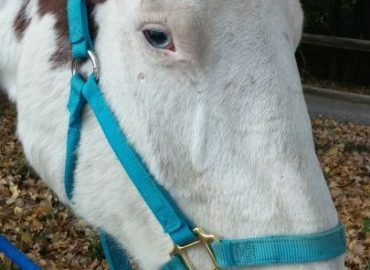 Maybe she tangled with a cow at some point. 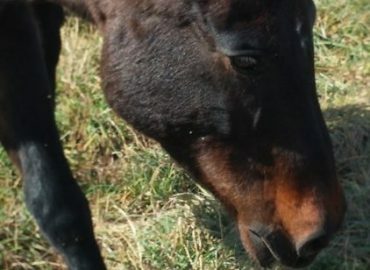 Again, I cannot confirm that. 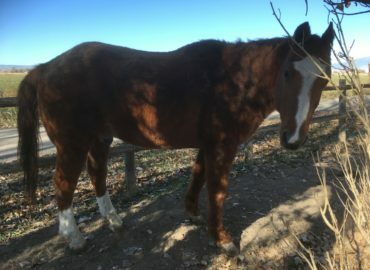 Her other quirk is when you go out to feed her she will follow you around like a puppy and she will trot around and sometimes kick er back feet up just to let you know she is feeling good. 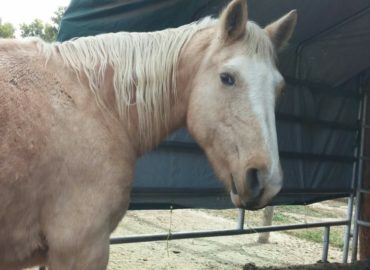 She never has done anything out of meanness. 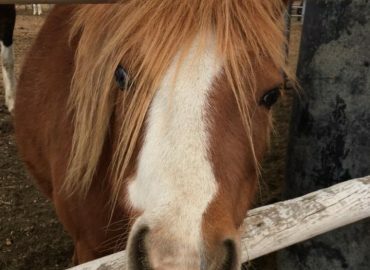 One last info I have to share with you is, last summer I noticed Shelby just was not herself after a couple of days and I couldn't figure out what was happening. 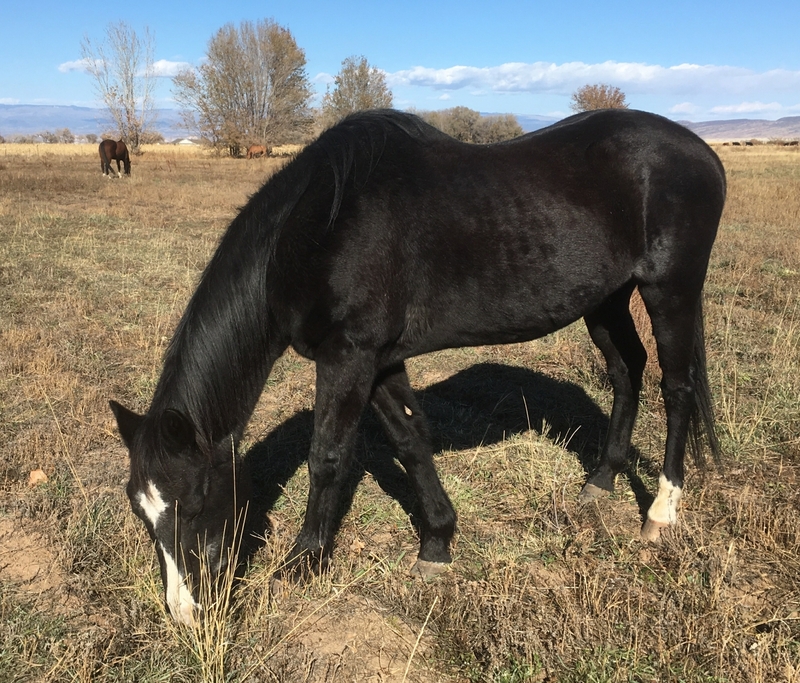 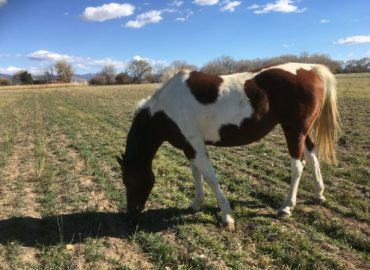 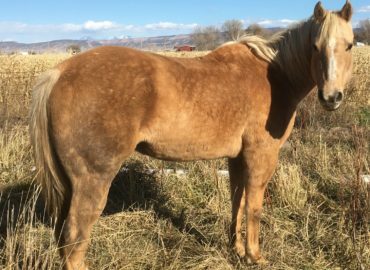 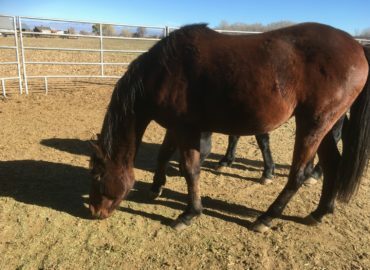 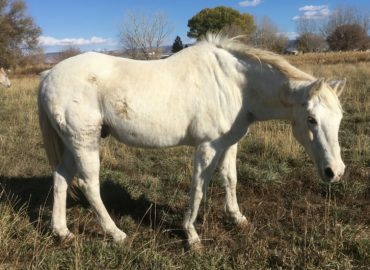 I called Montrose Vet and Nikki came out and examined Shelby, it was determined quickly that she like many other horses across the valley, she was foundering. 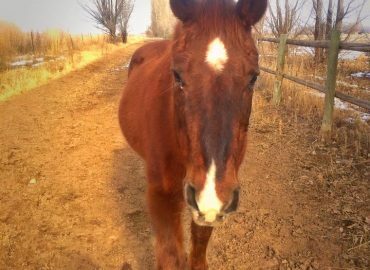 Nikki had us give here pain and anti-inflammatory for 10 days. 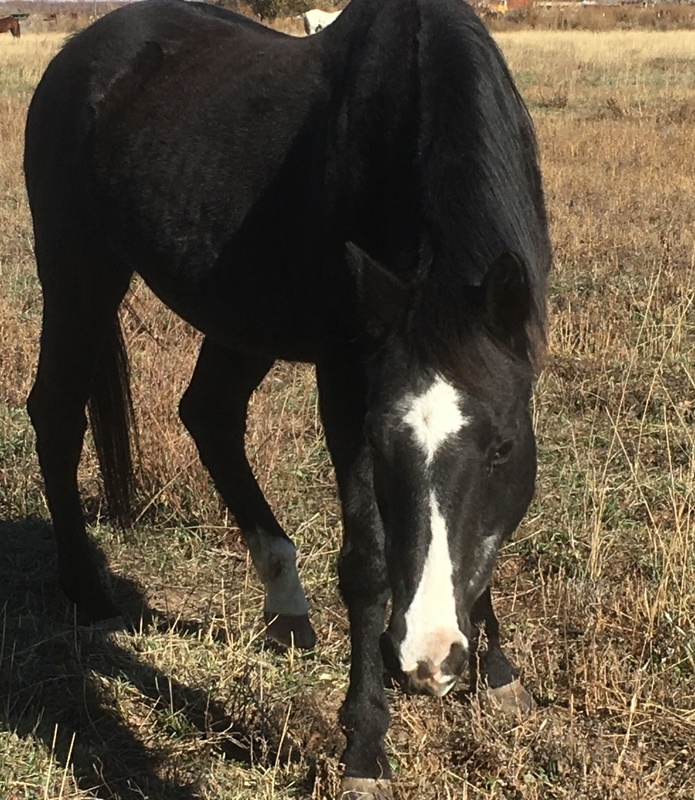 We took her off pasture and gave her 1 can of feed in the morning and 1 at night along with 1 1/2-2 squares of hay morning and night. 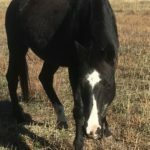 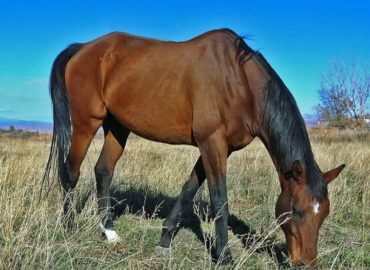 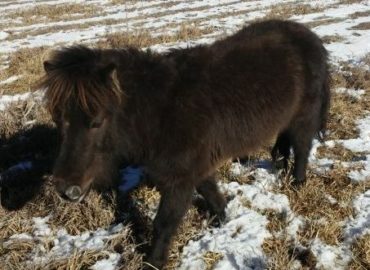 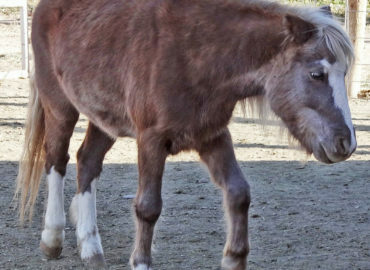 Nikki stated they are run ragged with calls for the same thing - there was so much rain and snow that the sugars in the grass were highly increased to much in 2016 that horses that never had a problem now were. 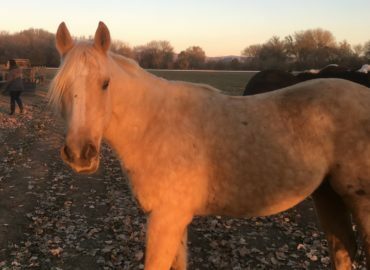 We caught Shelby's fairly early as it could have been much worse.We reintroduced her to a few hours a day to pasture in the evening when the sugars are down and it was early fall and she did very well. 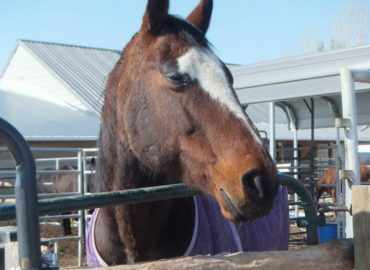 I guess that's about it outside of she is a joy to be with and we will miss her dearly!"